Welcome to the 2018-2019 school year! We hope you enjoyed your summer break and are ready for the opportunities a new school year brings. Whether you are new to Somers or have been with us for some time, we hope you will join with us in keeping our school community active and enriching. Last year thanks to our community we able to complete the 4k playground. Box Top collections were the key contributor to making the playground happen. Our funds assisted with the purchase of flexible seating to support personalized learning. We host fun events like our Barnes & Nobles Book Fair, Picture Days, Winter Dance, Variety Show, Family Nights, Staff Appreciation week and Art Night. The SSC also fundraises to support the school budget for awards, spirit wear, unique projects, parent/teacher conference dinners and educational opportunities. Our meetings are every 3rd Tuesday (subject to change) of the month in the school library at 6 pm. Free childcare is provided. 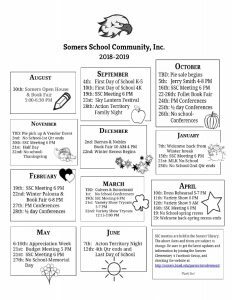 Our Principal, Wendy Tindall, staff and committees share all the happenings at Somers and what to look for in the coming months. Learn about all the extra opportunities happening at Somers. Meetings: Somers SSC Meeting are usually held the third Tuesday of the month at 6:00 in the school library. Sometimes these dates due change so please check back on calendar. Childcare is provided. 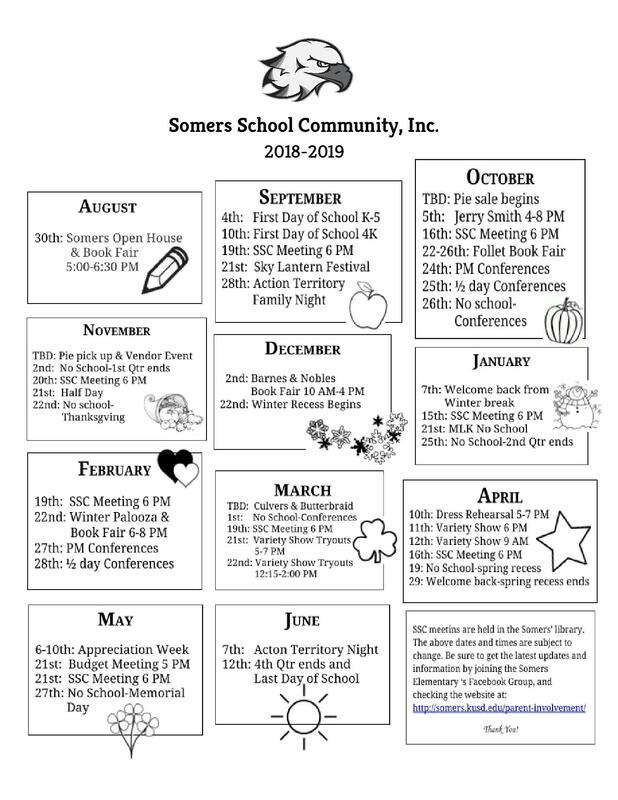 Come see what is going on at Somers. Parents help to make Somers great! Will you be our Valentine? Shop at smile.amazon.com/ch/45-2777829 and AmazonSmile donates to Somers School Community Inc. Turn Box Tops into your classroom teacher throughout the year. They will be collected and sent in for cash for our school! Please turn all box tops in by Friday February 16th. Thanks for collecting! Scholastic Book Wizard– Look up books guided reading level. and Language Arts at home?? This program is available to you 24/7 on any internet connected device. Go to our Somers’ website … www.somers.kusd.edu. Then click on LEARNING LINKS and choose your child’s teacher. 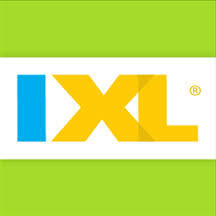 Look for and click on the IXL icon. When you open IXL this way you will see our Somers’ mascot on the IXL page – SOAR, the eagle. If you do NOT see the eagle then you are NOT at our sign-in page!! Students know the user name and password for this program. They can work on the topics they are covering right now in class, they can review anything that comes in the years before, or they can REALLY stretch and try something harder!! This program practices both Math and Language Arts. Our TITLE ONE budget pays for this subscription which is available to ALL of the students at Somers. How do I get into the Compass Learning program at home? Then click on LEARNING LINKS and choose your child’s teacher. Look for and click on the Compass Learning icon. Students know the username and password for this program … and the bottom line should say KENOSHA. We use the Hybridge Math or Hybridge Reading … choose whichever you want to work on. Children should work on topics from left to right, as they arranged by what children need to work on the MOST. The part of the software where they are working is circled with white. This program teaches Math and Reading skills that the student is ready to learn next (according to their MAPS scores) and practices skills students seem to need additional practice with.